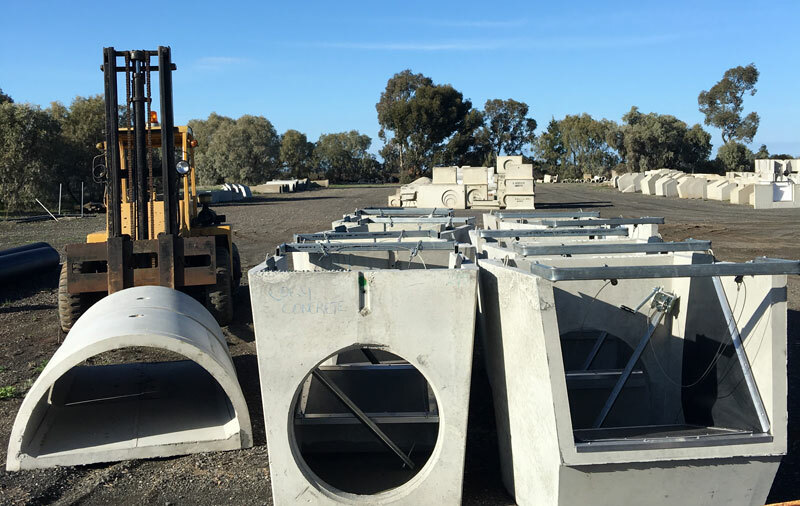 At the Coly Concrete yard, in Coleambally we stock all the major brands of pre-cast concrete including concrete pipes, headwalls, water stops, bay outlets, drop boxes, maxi flow culverts, poly pipe, stops and structures, storm water pits, pump pits and extensions, stock troughs and stop boards. For sixteen years Coly Concrete has been servicing our rural community for all their irrigation needs. We have learnt that there are so many diversified ways of working a property, that it is important all options are available to the landowner or manager when it comes to irrigation products. With our experience in the industry and support from our suppliers' technical teams, let us help you make informed decisions and provide the best products and services that we can at the best price.